Here I go again, celebrating a food holiday. I suppose I enjoy "celebrating" them so much more than actual holidays since the stress factor is zero. I mean, find a food you love, and there is bound to be a day set up for shouting it out loud. Case in point, today is National Macaroon Day. ...yet, I haven't eaten one in years. Until a few weeks ago, that is, when Klara's Gourmet offered to send me a few boxes of their cookies. 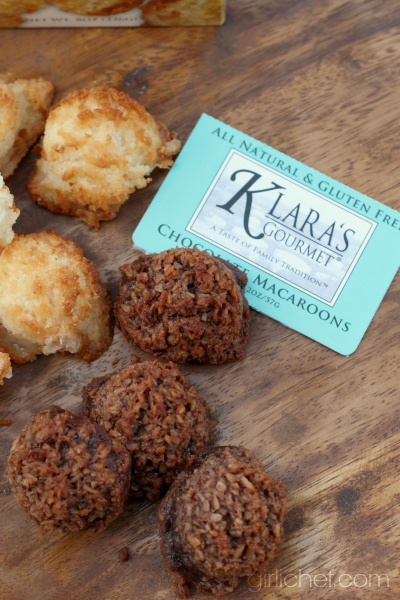 It's no surprise to me that Klara's Chewy Coconut Macaroons were named as a finalist in the "Outstanding Cookie" category in the Specialty Food Association’s 2014 sofi™ Awards (winners will be announced on June 30, 2014). Why is it no surprise? Because - and I do NOT say this lightly - these were THE BEST coconut macaroons that I've ever had in my life. Hands down. Now, hopefully you know me well enough (or believe me if you're new in these parts) to know that while I "love" this food and that food on a regular basis, it's rare that I declare something (and something storebought, at that) the best. That's high praise. And you know what? My husband agreed. Speaking of the husband...so...usually if I have a food item to review or test, I keep it in a certain spot in the kitchen. A spot that lets the rest of the family know not to touch it, because I need it for something. If it's been moved to the pantry, that means they don't have to worry about eating it (I've already tried it). Well, I opened my Klara's Gourmet cookies, took photos, and was nibbling on a few and taking notes when I realized that I was running late to pick up my son. So, I stashed everything in a large baggie and stuck it on a shelf. In the pantry. DOH! When I got back home 45 minutes or so later, I found that only 3 of my coconut macaroons remained. And that was the biggest package. While I was gone, the hubs got hungry, happened upon the box in the "free for all" spot, and also fell in love. He said they reminded him of something he ate growing up (not called macaroons in Mexico, apparently, but whatever they were called...they were one of his favorites and he hadn't had them in years). I mean sure, I still had those three left, but they're the type of thing that makes me want to be stingy and hide them in my "special cupboard". So yes, I feel confident in saying that Klara's Gourmet All Natural & Gluten-Free Chewy Coconut Macaroons are the BEST storebought macaroons. Ever. Without exaggeratioin. Eating them also made me realize that I need a killer coconut macaroon recipe under my belt. Now, I haven't had time yet, but I plan to try recreating Klara's. They only contain 7 all natural ingredients (unsweetened coconut, confectioners sugar, egg whites, honey, rice flour, vanilla extract, and salt), so it'll be all about proportions. I'm on a mission. 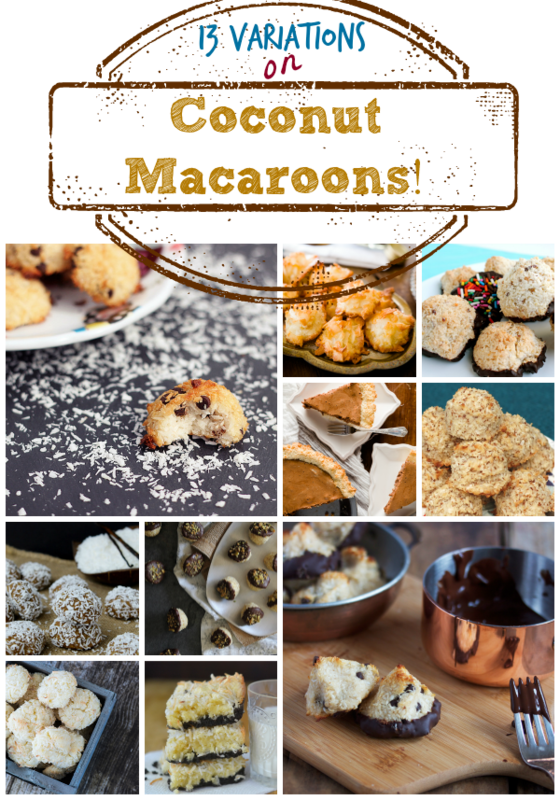 Until then, I have some amazing Coconut Macaroon and Coconut Macaroon-inspired recipes from some of my talented blogging friends from around the web to get started with. 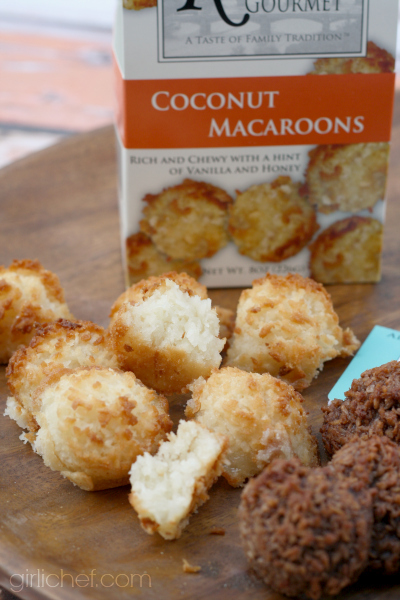 Do YOU have a favorite Coconut Macaroon recipe? If so, feel free to leave me a link to it (or the recipe itself, if it's not online) in the comments section. After all, one can never have too many macaroon recipes in their arsenal! 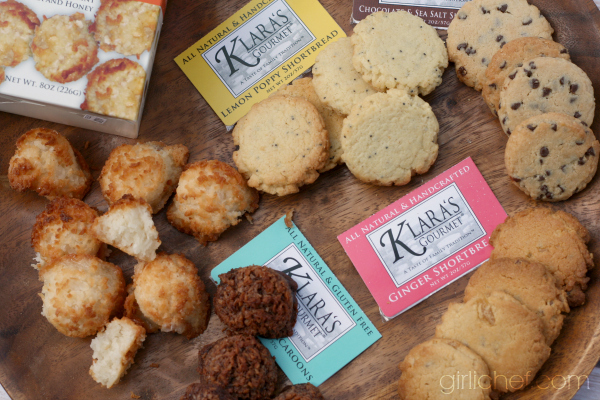 I received an assorted variety of Klara's Gourmet Cookies at no cost to me to sample, and share my thoughts on them, should I choose to do so. I received no compensation to write this post. All thoughts and opinions stated in this post are my own.